South African rocker Francois van Coke recently released a special 4-track EP that features some of the hottest collaborations with his friends. These friends include Jack Parow, Die Heuwels Fantasties, Early B and AKING’s front man, Laudo Liebenberg. This is all part of the massive Francois van Coke & Vriende production planned for 15 September 2018 at the Sun Arena. Francois said he wanted to release new music ahead of his third solo full length album and everything fell in place to write some music with these 'vriende'. 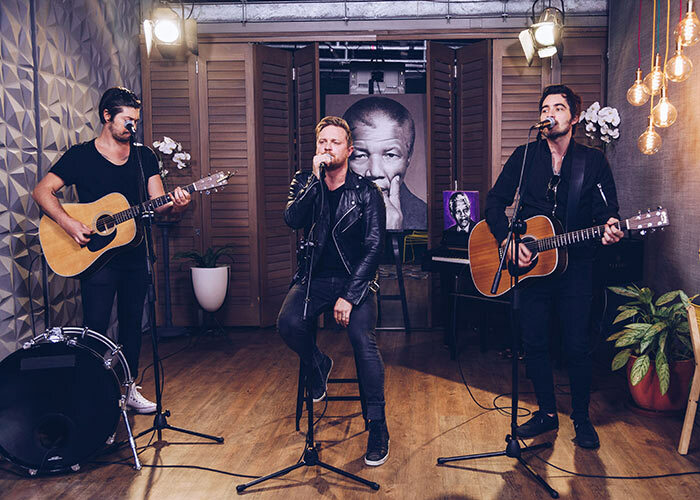 Francois joined Expresso to tell us more about the album and perform the new single with Die Heuwels Fantasties - 'Ek Lewe Ek Belowe'. Buy tickets for Francois van Coke & Vriende at the Sun Arena on 15 September here.